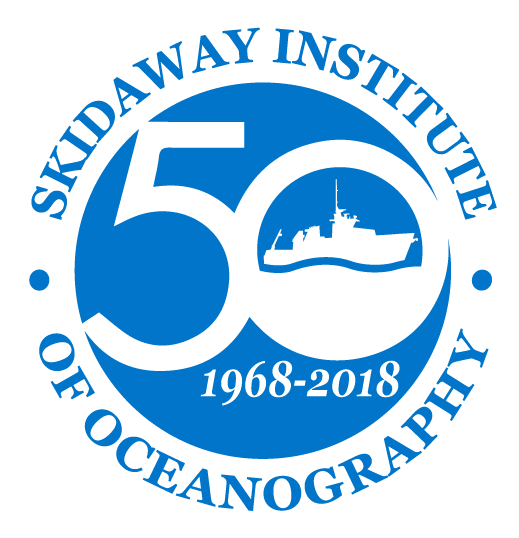 A routine research cruise quickly turned into a lifesaving, nighttime rescue mission for the crew of UGA Skidaway Institute of Oceanography’s Research Vessel Savannah. 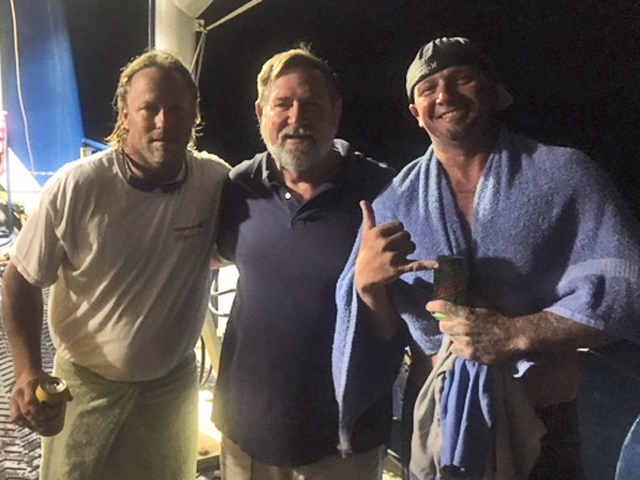 On the evening of June 8, the ship rescued two Florida fishermen who were clinging to the hull of their capsized boat in the open ocean approximately ten miles off the coast of Cape Canaveral, Florida. The Savannah was conducting a fish survey with a team from the National Oceanographic and Atmospheric Administration when, around 8:30 p.m., they were contacted by the Coast Guard to assist with a vessel in distress believed to be three and a half miles from the Savannah’s position. Captain Raymond Sweatte steered the Savannah towards the boat’s last known position, but on arrival, a search with the Savannah’s spotlight revealed nothing. Captain Sweatte began a search pattern, but still found nothing. He then noticed a faint radar target approximately two miles east of the Savannah’s position. He pointed the Savannah in that direction and as the ship got closer, the target grew stronger. They came across a capsized 24-foot boat with two fishermen holding on for dear life. The fishermen were identified as Justin Desoto and Andy Odom out of Port Canaveral, Florida. They said the boat started taking on water. As the seas and wind increased, they could not keep up with the inflow of water and mother nature took control. Both fishermen were brought onboard and provided blankets and water. A Coast Guard vessel met the ship and carried Desoto and Odom back to shore. “Whenever you get a call from the Coast Guard, it’s your duty to go out and try to help those sailors, because, one day it could be you,” Sweatte said. “I am very glad we were in a position to help. 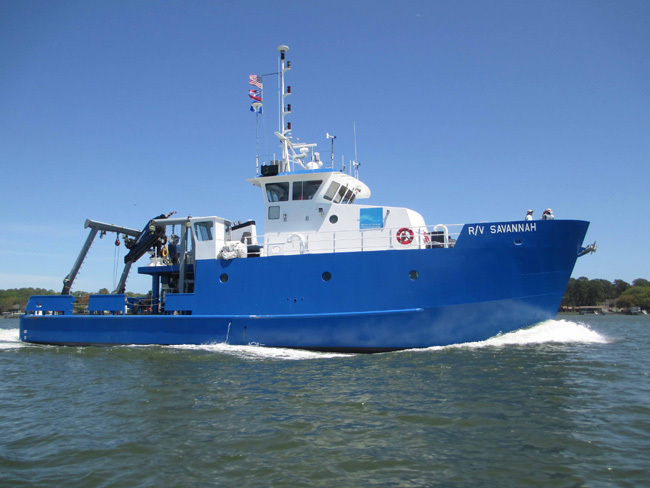 Afterward, the Savannah continued on with its original, planned research cruise and arrived back at its home dock at the UGA Skidaway Institute of Oceanography in Savannah, Georgia late on June 14. Good work, Capt. Raymond & crew. Your karma vault is full if you ever need it. Great job Skidaway crew. Keeping up with the tenacity to keep the search going. An awesome job by awesome folks on an awesome boat! !